Nar Phu Valley Trekking has recently unlocked trekking trail positioned into the Annapurna Region. Since 2003 Nar Phu Valley Trekking is supposed to be the forbidden trekking trail into the beautiful Annapurna Region. Nar Phu Valley Trekking mingles the remote villages called “Nar” and “Phu”. It too entices the pleasing forests, slim canyons, the astonishing formation of rocks, Kang La Pass with distinctive cultures of Himalayas. This is the reason why it is said that Nar Phu Valley Trekking asks for healthy along with the fit body. To accomplish the trek to Nar Phu Valley Trekking trekkers are needed for an expert who will show the way to it. The Nar Phu Valley also called the hidden gem of nature, travelers can get huge amazing things to see is ever seen before in life. The Nar Phu valley trekking would be best holiday trip in your entire life. Nar Phu Valley Trekking is a unique sort of trekking destination of Nepal which provides the splendid observation of the Himalayas including Mt. Dhaulagiri, Mt. Manaslu and Mt. Annapurna with additional 19 white snow covered mountains. To trek in Annapurna Nar Phu Valley is one of the finest regions aiming to view the grandiose mountains situated in the elevated location. Nar Phu Valley Trekking unites lofty passes, peaks, gompas, and glaciers. Trekking into the Nar Phu Valley is in all probability the most excellent routes of Annapurna Trekking who are in search of discovering the hidden valley along with off the beaten pass. Testing lofty passes counting Kanga La, Masokanto La and Tilicho is the additional attraction of Nar Phu Valley Trekking. Nar Phu Valley Trekking consists of extravagant regions of the ethnically-Tibetan population which adds a new sort of experience for the trekkers. Nepal Glacier Treks has arranged Nar Phu Valley Trekking for 19 days which set into motion from Kathmandu to Besisahar and its concluding destination is Jomsom. The trip grade of Nar Phu Valley Trekking is strenuous whose elevated entrée for the trek is Annapurna Thorong La Pass (5,416m). The set mode of trekking tour is tea house and seeing the elevated mountain pass and Nar Phu Tibetans Village will blow the breath of trekkers. The Nar Phu valley trekking leads our expert guide, without leader more difficult to do trek because of it is a hidden and very remote valley in the Annapurna region. We should take special Annapurna conservation area control permit and TIMS (Trekking Information Management System) card, friendly porters for carrying our luggage up the mountain. 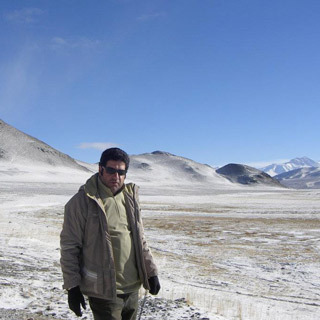 The best time to trek in Nar Phu Valley, autumn and spring are quite suitable for the trip. Airport and hotel pick-up/ drop by private tourist vehicle. Touring in Kathmandu with an export guide by tourist vehicle. Three-night hotel accommodation in Kathmandu with bed N breakfast. One night hotel accommodation in Pokhara with BB plan. Kathmandu to Besisahar/ Syange and Pokhara to Kathmandu bus fare. Jomsom to Pokhara flight tickets. All necessary porters, an assistant guide with well expert English speaking leader. All staff salary, food, lodging, insurance, and equipment. Annapurna restricted area special entry permit, local community fees and TIMS (Trekking Information Management System) card. All official, local and government taxes/ expenses. Certain touring and monument entrance fees. Day 01Arrive in TIA, KathmanduOn the first day of the itinerary, you will land at Tribhuvan International Airport (TIA), Kathmandu is the capital city of Nepal. At the airport, you will be received by the representative member from Nepal Glaciers Treks and Expedition. From the airport, you will be transported to the hotel and Stay the night at a hotel. Day 02Pre- trek meeting and short Touring in KathmanduToday at the morning after breakfast around 8 o’clock, we call a pre-trek meeting at your hotel. We converse the trek, any confusion about the trip will completely solve it, introduce with the leader (Guide), and you can buy any trekking equipment after meeting or sightseeing. 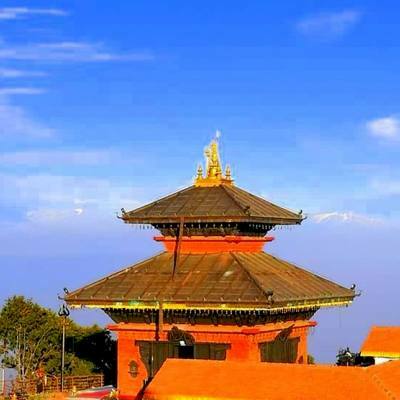 According to the itinerary, we start short Kathmandu touring including several Hindu temples of Pashupatinath, listed by UNESCO in World Heritage Sites and the largest Buddhist stupa in Boudhanath. Then drive to Swayambhunath stupa also known as monkey temple, it is more than 2000 years old stupa in the world. The last touring will Patan city is very famous for the city of virtuous arts in Nepal. Then back to the hotel, will check all the necessary things and Stay overnight in a hotel. Day 03Drive to Syange (1,110m) via Bensisahar 8- 9 hoursAfter enjoying the sightseeing in Kathmandu you will take a drive to Syange via Bensisahar in a contented bus, taking 8 to 9 hours. You will drive all the way to the rivers of Marshangdi and Trishuli. You will stay in the landscape with the native people. Stay overnight in a guesthouse. Day 04Trek to Taal (1,710m), Dharapani (1,960m) 7- 8 hoursOn the following day, you will get up early in the morning and set up for the trek to Taal and Dharapani. The trekking total time will be 7- 8 hours and then you will turn up to Dharapani moving through the Marshangdi River, wooded village of Karte. 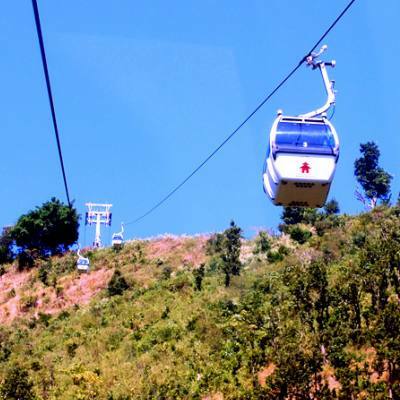 Later you will get to perceive the pleasurable flow and amazing views of the Mt. Annapurna range. After strolling unique path along with the mountain vistas, waterfalls, cliffs then crossing suspension bridge will reach Dharapani where we stop to overnight stay. Day 05Trek to Koto (2,600m) 6 hours Ongoing stroll to Koto (2,600m) all through Bagarchap and Danaque will focus the soar to Timing, where you will go onward of the trek. The astonishing mountains alike to Manaslu can be a picture from Timing, charming a normal ascending and downward to Koto. After 6 hours stroll, you will reach Koto then overnight stay at a guesthouse in Koto village. Day 06Trek to Methang (Meta) (3,560m) 7- 8 hoursOn this day you will go away into in the forbidden area of Nar Phu Valley where we register our restricted region permit. Then trek continues through pleasing pine forest, rivers with the Soti Khola river’s bank. We will take our packed lunch on the path then trek towards Methang village. The trail is bold with pebbly trail and entire stroll to Methang, taking 8 hours of walk. Stay overnight in a guesthouse. Day 07Trek to Phu Village (4,050m) 7- 8 hours Today you will start on the trek to Phu village with lunch consuming 7 to 8 hours. Utilizing the wilderness area and characteristic restricted village of Chyakhu and Kyang will meet shy people. Charming the sound rise and downward to Phu village and showing some mountains of Annapurna ranges will convey to a perfect closest view. Stay overnight at guesthouse. Day 08Trek to Himlung base camp (4,920m), back to Phu Village 7- 8 hoursToday at the morning after breakfast we trek to Himlung Base Camp with packed lunch. We are heading to lost/ hidden valley where very fewer people try to visit the base camp till now but it is real wilderness and amazing area. After spending some hour in the Himlung Base Camp, we back to Phu village for the overnight stay. Day 09Trek to Naar Village (4,200m) 6- 7 hoursOn the next day, you will begin the trek to Mahendra Pul after having your breakfast. You will pay out the outstanding time in Phu Village and trek downward to Naar all through the Satya Gompa of Mahendra Pul. Then, again you will ascend up to Naar Village through passing much more Buddhist stupas. It takes 7 to 8 hours to reach Naar village. Stay overnight in a guesthouse. Day 10Explore Nar VillageThis is the day which is owed for exploring Nar Village in an early morning. We also make day hiking nearby and tour Nar Village includes 4 monasteries which will make this day more productive. To comprehend the spot and for the effectual trek, Nar Village journeying is very vital. Stay overnight in Naar village. Day 11Trek to Kangla Pass (5,320m), Ngawal (3,675m) 7- 8 hoursOn the following day, you will robust into some daring and widespread hike. So, you will get up early in the morning and therefore shift to Kangla Pass. After attaining the Pass you will visualize the gigantic Annapurna. Then, the trek will slide to Ngawal through soaring for 8 to 9 hours. Stay overnight in Ngawal. Day 12Trek to Manang (3,540m) 4- 5 hourOn the following day, you will approach to by shifting in front to Manang (3,540m) village. Manang is the large village of this the Annapurna Mountain. The greater thing concerning the trek to Manang is you can go off for extra site tours as well. On this day you will be strolling for 3 hours. Stay overnight in Manang village. Day 13Trek to Yak Kharka (4,115m) 3- 4 hoursAfter spending the night at Manang village, we move to Yak Kharka in the morning after breakfast. The trail follows the river, climbs to Tenki village above Manang and trek continues towards northwest up the valley of Jarsang Khola, out of the Marshyangdi river valley. After passing meadow land, juniper trees, Ghunsa village, a group of flat mud roofs just down the trailheads. Then the trail moves through pastures where many horses and yaks browse. Again crossing a small stream on a timber bridge, we finally reached the village of Yak Kharka. Overnight at guesthouse in Yak Kharka. Day 14Trek to Thorong La Phedi (4,550m) 3- 4 hours Today we make our trek to Thorong La Phedi from the village of Yak Kharka. Leaving Yak Kharka, passing Ledar village the trail ascends to Thorong La Phedi is a one the best relaxation sport to tired trekkers. All trekkers use the point as a base camp or high pass preparation. The few visitors want to attempt the hike to the Thorong La high camp because next day walk can be easy for them. But our leader doesn’t allow hike to high camp of Thorong La. We stop Thorong La Phedi, the trekkers or visitors can have complete sleep in lower elevation rather than endangering sleeping in a higher elevation at high camp. Night at Thorong La Phedi. Day 15Trek to Muktinath (3,790m) via Thorong La Pass (5,416m) 7- 8 hoursOn the following day, the trek starts early in the morning around 3 o’clock. Crossing the strenuous Thorong La Pass (5,416m), from where travelers can enjoy sunrise view over the mountain. After reaching Thorong La Pass, we move to Muktinath which is very popular pilgrimage destination of Nepal. You can visit around Muktinath and night stay at Muktinath in the guesthouse. Day 17Flight to Pokhara (823m) 35 minutes On this following day after breakfast, you fly to Pokhara. The beautiful scenic flight offers views of Mt. Annapurna and Dhaulagiri. After landing Pokhara airport, you will transfer to hotel Pokhara. You get some rest and refresh, then starts exploring around Lakeside Pokhara in the evening such as boating in Fewa Lake, short hiking to world peace pagoda, sightseeing Gupteshwor cave, Devi’s falls. We can complete the leisure day visiting around Lakeside area. Night at hotel. Day 18Drive to Kathmandu 5- 6 hours Today early in the morning after breakfast, we drive back to Kathmandu from beautiful Lake city of Pokhara. After getting Kathmandu, you will transfer to hotel. At evening time, you can stroll around Thamel is a hub of tourist by rickshaw, last minute shopping, then we celebrate the successful trek with farewell dinner and cultural slideshow in typical Nepali restaurant. Night at a hotel in Kathmand. Day 19Final departure!!!! On this day you will be transferred to Tribhuvan International Airport so that you can return your hometown or move to next destinations. Our team representative will take you to the airport with great respect and safely. Have a safe journey.